We are a boutique office located in the inner west.Our clients are always overly satisfied with our services and our results speak for themselves. 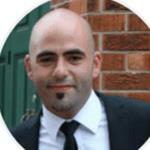 Michael Assaf , the principal has been doing property management and sales for over 15 years. He is the contact that you will deal with direct at all times. No need to be passed on from staff to staff you deal directly with the principal of Estate Living. We advertise our properties on realestate.com and domain. com.We have inspections by appointment and by private viewing. We have 2 offices so we offer double the exposure. We currently have limited stock so all our focus is 100% based on the sale. Dealing with Michael from Estate Living made leasing our property very easy and smooth transition. The property was leased with 5 days and a 3 year lease was signed. We were referred to Michael at a time when we were having many issues with our previous property manager. We gave him all our properties to manage and it has been nothing but smooth sailing since. Dealings with Michael have been a absolute pleasure from the very start.His enthusiasm and eye for detail is second to none. He has found great tenants for all my properties and the vacancy period has been non existent. Michael and his team come highly recommended.